Borussia Dortmund have insisted that they have no intention of selling Pierre-Emerick Aubameyang to Barcelona, amid links with the Catalan club. Reports in Spain had suggested that Luis Enrique’s team had identified the Gabonese forward as a potential January transfer target, with their transfer ban on the verge of ending. 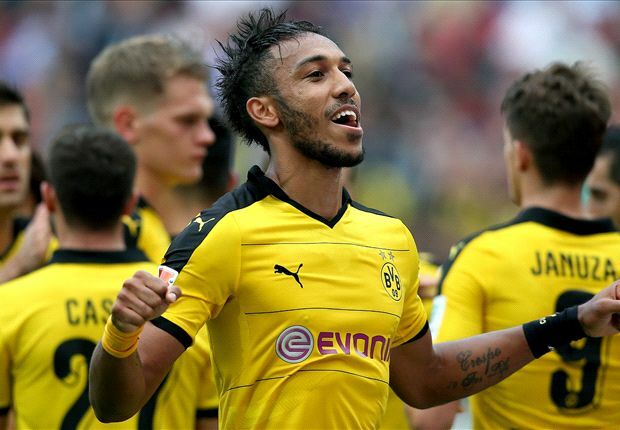 However, Michael Zorc, Dortmund’s sporting director, maintains that Aubameyang remains a key part of the club’s plans. "We plan clearly with Auba,” he told Bild when pressed on the rumours. Aubameyang himself says that he has never considered leaving Dortmund, having also been linked with Liverpool following the appointment of Jurgen Klopp. "I am here with all my heart, I've never wanted to leave,” he added. Aubameyang has scored 14 goals in 14 appearances in all competitions thus far in 2015-16.